It was opening day at Schuster’s, and it was busy! It is open between September 20-Nov. 1 in 2014. for the fall season. 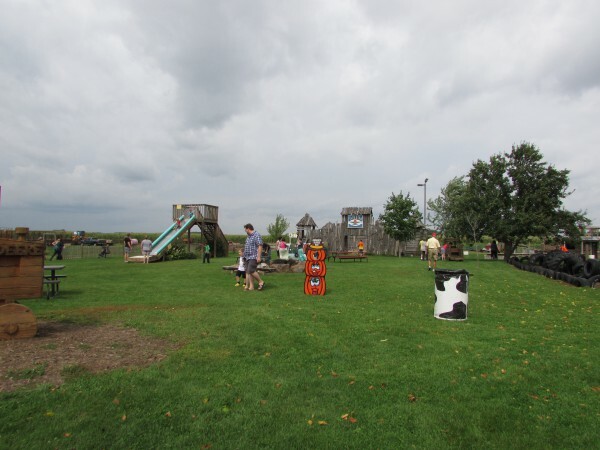 In Wisconsin, the farm IS a big attraction and fun for all ages. This place opened to the public in 1990 and is is a lot of fun. 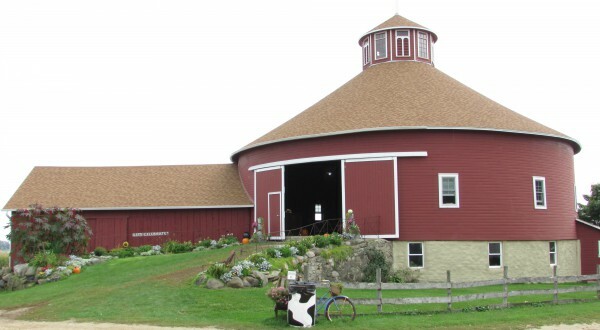 The round barn can be seen from the road and draws you in. There happened to be a wedding here today too. The first thing we saw upon arrival was lots of pumpkins and the hayride just coming back. 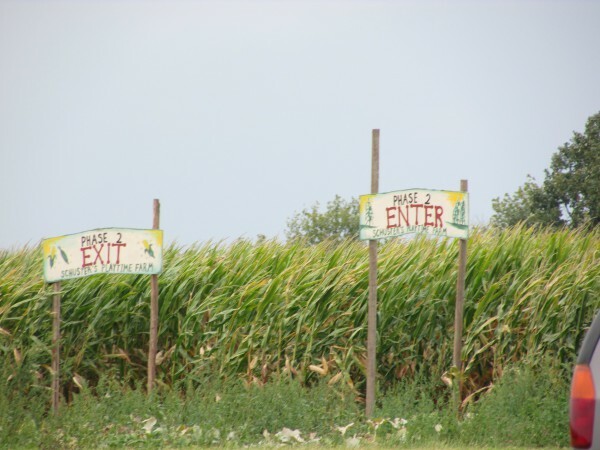 They have a corn maze too, very popular in the Midwest. 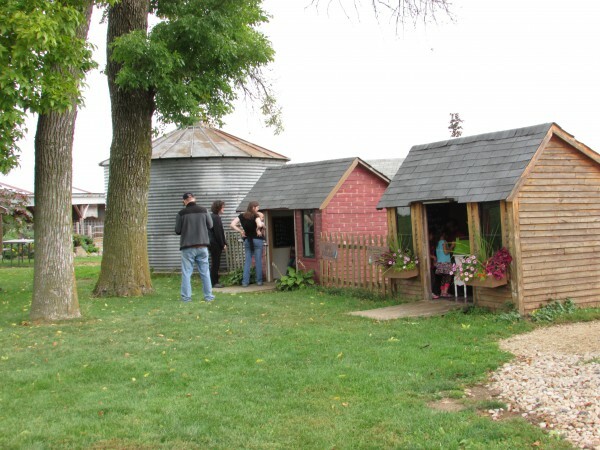 A big play area for the kids, even little playhouses. In this area was also a BIG rocking chair. We couldn’t resist getting a selfie here. 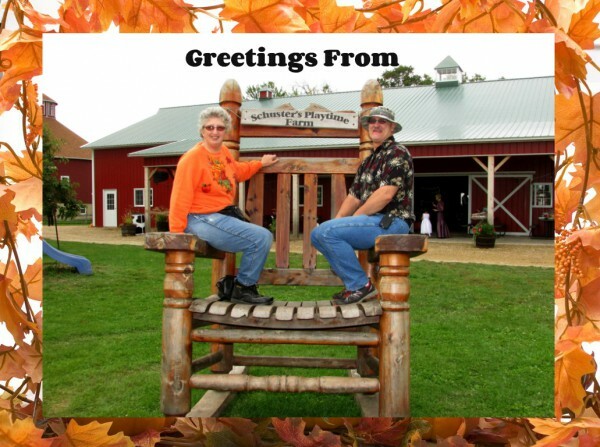 This is a great place to visit in the fall, be sure to get here for a great time!